Why purchase a Farquhar painting? Not only can you tell its a genuine quality Farquhar, there can only ever be one! Each painting is individually created with authenticity and conviction to make them unique. They are persuasive humanistic assertions. This makes them of great necessity at our point in time. 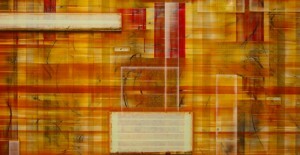 Unique and exclusive contemporay abstract paintings developed with devotion and conviction of the highest standards to ensure unsurpassed results. Paintings are presently available for purchase through an agent, direct from the studio or by commissioning a painting to suit your requirements direct from the studio. Not sure where to start? Browse the paintings and do Contact Andrew if you have any questions. Andrew Farquhar welcomes the opportunity to assist and advise you with respect to all your purchases, large or small. Paintings are available now for purchase. Contact the studio of Andrew Farquhar for advice to purchase from an agent of Andrew Farquhar's paintings, OR consider commissioning a painting. If you are looking for a special painting Andrew Farquhar can create something specifically crafted for that space you have in mind. Click commissions for details. Alternatively select a painting by size, colour and/or orientation. Click HERE for examples. Each painting is supplied with 40 mm bracing, unless otherwise specified, which is painted in a neutral colour. Each painting can be hung as supplied or you can add your own individual frame. All works are supplied with a signed 'Certificate of Authenticity' as a support document in the secondary market. Customer satisfaction is very important to Andrew Farquhar. This section provides useful information on various topics. Please feel free to Contact Andrew with any enquiries, questions or feedback you may have. iii. Other conditions existing beyond the control of FARQUHAR that distort the representation of the exhibited art work. Andrew Farquhar is proud of his paintings quality and the personal service he offers. All paintings are produced using a quality and reputable artists acrylic paint on panel. Domestic New Zealand orders are at a flat $40.00 charge per item. Alternatively you are welcome to collect the work directly from the studio. Please indicate this as 'special instructions' with your order. ALL international orders will be calculated separately and Andrew will e-mail you with your final total upon request. If you would like your order shipped by a different method than stated, please indicate this as 'special instructions' with your order. Please request this as 'special instructions' with your order. All insurance requests are calculated seperately. Andrew is available to organise on your behalf or you are welcome to organise your own requirements. Disclaimer: Andrew Farquhar shall not be held responsible for lost, damaged or missing packages that are not insured.